There is something very ironic about the independent project created by Mark Buxton, Geza Schoen and Bertrand Duchaufour. When creating a project called Renegades the trio of classically trained perfumers want to have fun, do something different and strive to establish something unique. The problem is that apparently the only thing they have actually achieved is to have fun, since the promise to do something challenging that seems to break with the corporate world in practice reflects is that they may not even realize that they have incorporated corporate practices, since the world of business has more faces and sizes than a caricature of mass perfumes. Of the 3 perfumers perhaps the most unknown is Mark Buxton, since its commercial apogee happened at the moment in which the niche perfumery began to gain body. He is together with Bertrand Duchaufour a great responsible for establishing the line of perfumes of the Comme des Garcons like vanguardista in the decade of 90 and 2000, creating icons like the original CDG and the CDG 2. 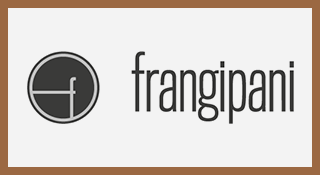 Looking at the fragrantica it is possible to see that it has a catalog extensive and diversified that goes from mass perfumery to more traditional and authorial perfumery. Mark Buxton is not exactly a Renegade, he is one of the minds that has helped shape the more subtle and pervasive sides of the niche and commercial perfumery of the past two decades. 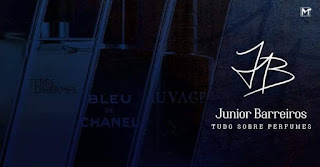 The fact is that I expected his fragrance free of charge and full of creativity and natural elements something innovative and that would take his style to a new level, but his perfume seems more a reflection of his career than something innovative. Renegades Mark Buxton reminds me of his most well-known and complex perfume, CDG 2 Man, but instead of being more daring the composition seems more restrained, just as if someone had pruned his freedom. There are also echoes of the scent of his friend, Geza Schoen, with a green note reminiscent of the Kinski perfume cannabis idea. It is as if this were more a collage of ideas, as if the 3 perfumers had thrown their favorite chords on the table, using and choosing a mix of them. I also see influences of the green and acid scent of Rhubarb from the perfume of Douchafour for Aedes de Venustas . What perhaps strikes me most here is something that assumes a slightly earthy and vegetable scent of iris that gains a prominence amidst a vegetable base and a brilliant aldehyde scent on the way out. What I think is sadder of this is that 3 such talented perfumers have to use the same tricks and besteirol of marketing that they say fight. Why the hell are you going to create an avatar in a project where you will ultimately reflect your own style? Or reject the system by mixing ideas you used in it? 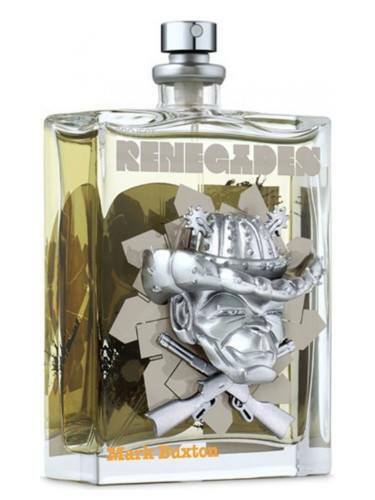 Conceptually the Renegades project is a mess that does not make sense, but the compound perfume is good after all because even with a ridiculous concept the 3 perfumers can do something decent because they are really good perfumers.